On August 15, 2015, the feast of the Assumption of the Blessed Virgin Mary, we dedicated our Grotto of Our Lady of Lourdes at the parish. 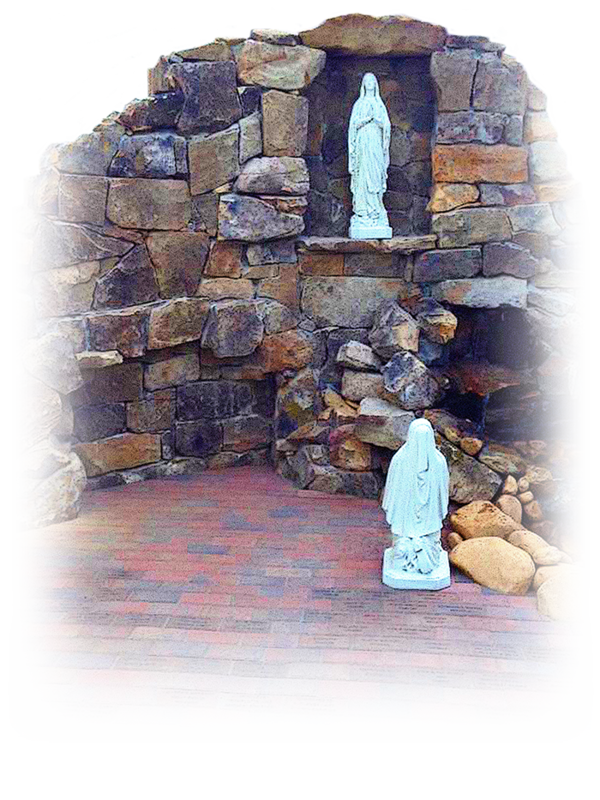 The grotto serves as a beautiful place of prayer for our parishioners and those in our community. If you would like to purchase engraved pavers for the grotto, you can download a form here. The pavers are $100 each. Please complete the form and either mail it in with your payment, or you can drop it by our parish office during office hours. Payment can be made by cash or check, or you can use a credit card through our online giving site here (make sure to select the Parish Memorials fund).